Now available at retail, AMD's Radeon VII graphics card can be used in a Thunderbolt 3 eGPU enclosure with the latest macOS Mojave beta. With Christmas only two weeks away, now is the time to finish your holiday shopping while the deals are hot. Save up to $700 on Apple's 2018 MacBook Pro thanks to record breaking discounts. New 11-inch iPad Pros are also on sale with prices starting at $759. Apple recently introduced Vega 16 and 20 graphics options for the 15-inch MacBook Pro, putting a considerable amount of power into a compact notebook. AppleInsider tries out a top-specification Vega 20 MacBook Pro with a Core i9 processor and 32 gigabytes of RAM to see how well it can run Fortnite, in both macOS and Windows 10 using Bootcamp. Back by popular demand, Apple authorized reseller Adorama is knocking $100 to $225 off every 2018 15-inch MacBook Pro with Vega 16 or Vega 20 graphics for a limited time only. And on top of the cash savings, Adorama will not collect sales tax on orders shipped outside NY and NJ. 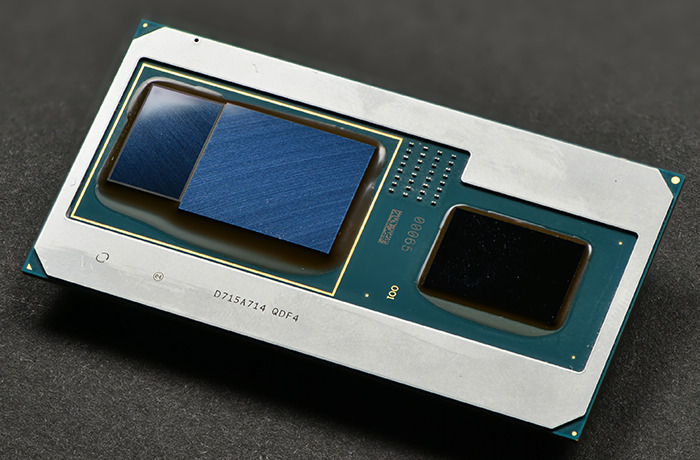 The brand new Radeon Pro Vega 20 GPU option for the 2018 15-inch MacBook Pro is supposed to substantially improve graphical performance. AppleInsider puts the top-of-the-line model fitted with the GPU and the Intel Core i9 processor against the base MacBook Pro equipped with a Radeon 560X to see how much of a difference there is between the two configurations. The best Cyber Monday deals can be found at AppleInsider, with a $225 exclusive discount on every new 2018 15-inch MacBook Pro with Vega graphics. Plus, save $70 on Apple's 2018 Mac mini or up to $1,050 on closeout MacBook Pros with coupon. These are the most aggressive deals available on the new configs, with free shipping and no tax outside NY and NJ. Intel's latest processor launch is a collaboration with long-time rival AMD, with the two chip firms working together to create a pair of 8th generation Core processors that are equipped with Radeon RX Vega M graphics, with the onboard AMD GPU potentially helping with the creation of more powerful notebooks or small form-factor computers like the Mac mini that do not require a dedicated GPU. Apple's new iMac Pro now uses a much more advanced dual fan cooling solution, with almost 75 percent more airflow and an 80 percent increase in system thermal capacity. AppleInsider put it to the test to see how it performs with CPU and GPU intensive tasks, and we came away with interesting results. The start of iMac Pro sales means customers now know exactly how much their custom configurations will cost, and when they are expected to ship. Buyers interested in the top-of-the-line desktop can expect to fork over more than $7,000 for an 18-core beast, though it won't ship until February. AMD has officially rolled out PCI-E versions of the Vega 56 and 64 GPUs that will be in the iMac Pro in December, with cards seeing retail in the middle of August.